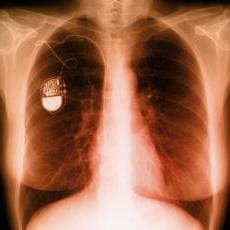 An ICD monitors heart rhythms. If it senses dangerous rhythms, it delivers shocks. This treatment is called defibrillation. An ICD can help control life-threatening arrhythmias, especially those that can cause sudden cardiac arrest (SCA). Most new ICDs can act as both a pacemaker and a defibrillator. Many ICDs also record the heart’s electrical patterns when there is an abnormal heartbeat. This can help the doctor plan future treatment.